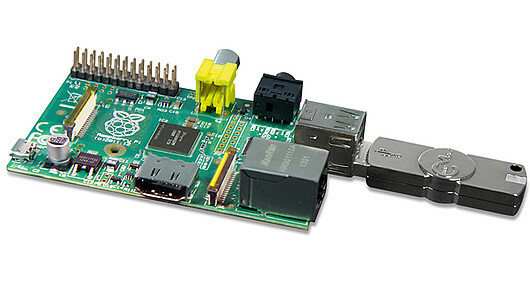 Raspberry Pi with CmStick, the USB dongle for software protection, plugged in. At this year’s Hannover Messe, in its own booth, D05 in hall 8, Wibu-Systems will show how manufacturers can protect their embedded software from tampering. The ground principle is based on the secure boot mechanism integrated in CodeMeter technology, which companies can start evaluating with the starter kit for the Raspberry Pi.